New Orleans is unique in its history, and there are museums that allow visitors to view this rich history. Different venues have different purposes, so choose to visit accordingly. New Orleans itself is a museum, with old buildings and glimpses into years long ago in plain sight. But, if you visit New Orleans consider a trip to some of the fine museums that are operating as very low admittance fees. In one case the fees do not exist as far as I am aware. And the major museums are available for those with a variety of interest. The New Orleans Museum of Art is a true art museum. It is a large, multistory building. In some rooms hang large pieces of art that would alone make the visit worthwhile. But, there is so much more. On the second floor there is a glass exhibit. Vases and urns, along with many other pieces, are displayed for your viewing pleasure. One room has a Fabrege egg collection on display. The museum owns several Fabrege eggs, some of which are part of the permanent collection, and some travel to other museums. One section of the museum often houses a temporary exhibit, and these exhibits are stretched through several rooms. One walks from room to room, stopping to gaze at the pieces on the walls, and those enclosed in glass on tables in the center of each room. The D-Day Museum is the late Steven Ambrose’s inspiration. Steven Ambrose was a Professor of History at the University of New Orleans, and wanted to bring the history of World War II alive. Perhaps the name is misleading, since it chronicles all of World War II, including both the European and Pacific theatres. The exhibits inside the museum are many, and to properly go through the museum it is best to stop frequently for the short videos. Different rooms are devoted to different aspects of the war. The first room one enters houses military vehicles, and World War II aircraft. Some veterans of World War II volunteer their time to regale those who will listen their first hand experiences. One day there will be no actual participants left, so it is important to those interested in World War Ii to hear what these people have to say. The Cabildo is an old government building build in the 1790s, after the original building was destroyed in the great fire of New Orleans in 1788, according to the Cabildo’s website. At that time Louisiana was under Spanish rule. So, while the building is located in the New Orleans French Quarter, it has a Spanish look, as do many other French Quarter buildings. New Orleans was settled by Bienville and Iberville for France, became a Spanish possession, then went back to France before Napoleon sold all of Louisiana to the United States in 1803. The fire itself came about because the buildings were built one next to the other, and when the fire started the alarm could not be sounded. The fire started on Good Friday, and the alarm was the church bell, which the priest refused to ring on Good Friday. So, the fire grew to conflagration status with less than adequate fire fighting crews being aware of it in time to stop its advance. One of the items on display in the Cabildo is Napoleon’s death mask. Other items are generally historic in nature. This museum delves into history instead of art. The block where the Cabildo is located has three buildings across, the Cabildo, the Saint Louis Cathedral, and the Presbytere. The Presbytere is a twin building to the Cabildo. It currently houses the Mardi Gras collection, among other things. 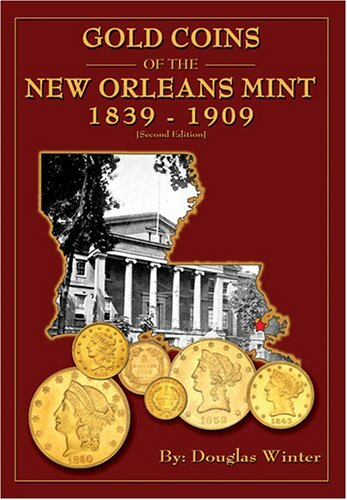 New Orleans once had a mint that produced gold and silver coins for the United States. Generally, the United States has located branch mints near mines that produced the gold and silver, but there are no gold or silver mines in the area. However, it was located very close to the Mississippi River, where gold and silver could easily be shipped to the New Orleans Mint. The New Orleans Mint produced coins for the United States, then in the Civil War was taken over by the State of Louisiana and continued minting. When Louisiana joined the Confederate States of America shortly thereafter the New Orleans Mint produced coins for the new government. New Orleans was captured early in the Civil War, and occupied by General Butler. This ended the New Orleans Mint’s production of coins for the Confederate States of America. Eventually, the New Orleans Mint began minting coins for the United States again. Today, the New Orleans Mint is owned by the State of Louisiana, and houses an exhibit on the first floor that has some of the original minting machinery, a collection of coins minted by the New Orleans Mint, a press used for Mardi Gras doubloons, and a die for a Confederate half dollar. This part I have entered several times at no charge. Upstairs the mint often has exhibits, and I have no idea whether they have an admission fee to go up to those exhibits. If you are interested in rt by living artists there are many studios with collections displayed along Magazine Street. The D-Day Museum is the newest, but has been around for several years now. I would love to see that D Day museum, and also the Mardi Gras one. I am almost ashamed to admit that I lived in NOLA for a year, and never visited any of the sites you have chronicled here. What a shame! But, it does give me an excuse to go back and spend some time there some day. The D-Day museum is unique, developed by historian Steven Ambrose with a grant. And it continues to grow. The art museum is worth a visit, but it is so large I would recommend getting there early enough to go through it, especially of there is also a visiting exhibit, as there often is. I believe the visiting exhibits are absent while they are being changed out. It seems there is always something new being advertised. It also has a sculpture garden associated with it. this is very interesting . Ty for posting. The art and D Day museums look especially interesting to me. They are all worth the visit. The D-Day museum is more recent than 35 years ago. 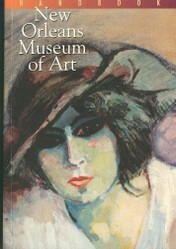 I'm putting the museum on my must see list next time I'm in New Orleans. It's been 35 years since I visited New Orleans. I would have liked to see the D-Day Museum. Thanks for an interesting article.